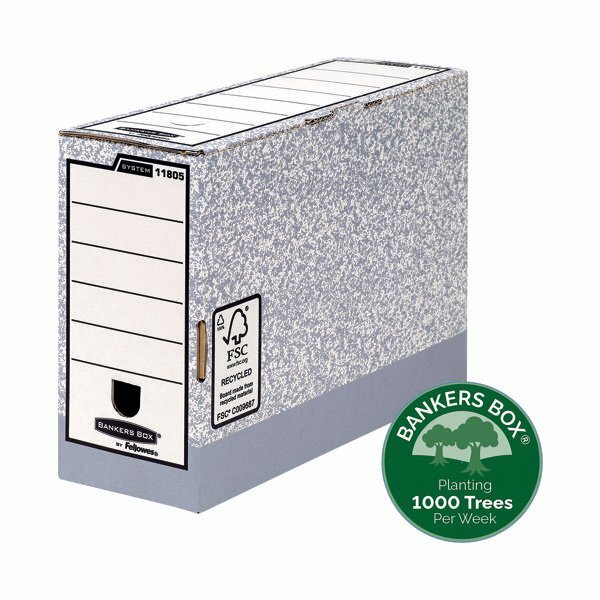 This Bankers Box large storage box features time saving Fastfold automatic assembly and is stackable up to 4 high. 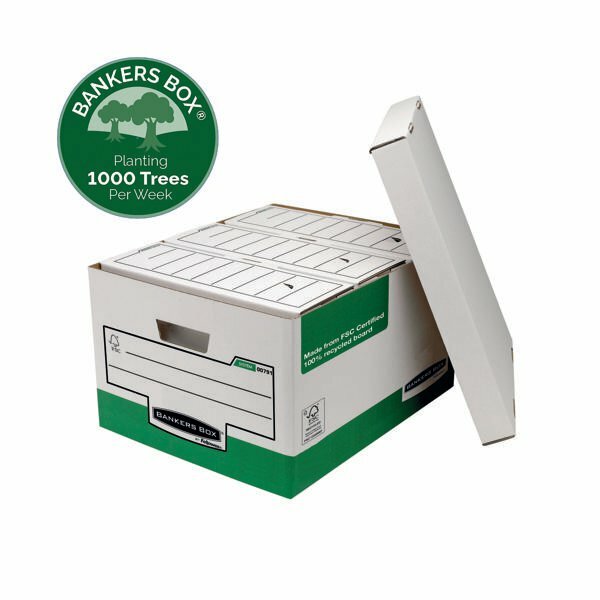 The box also features double layered board on the handle panels and base for extra strength. 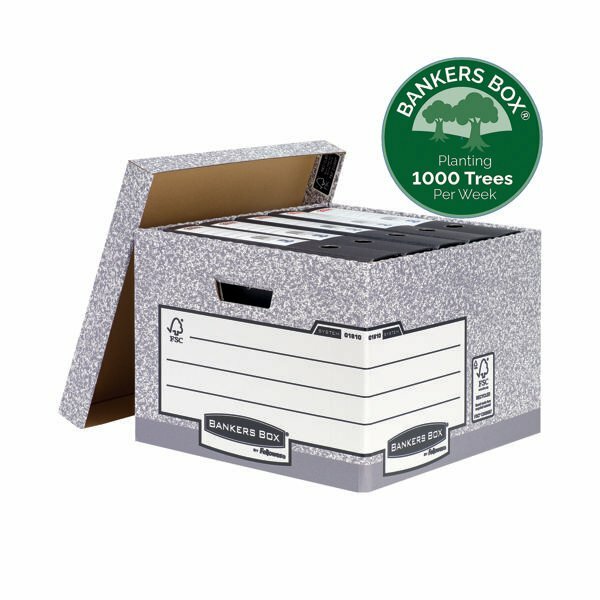 Compatible with Bankers Box 120mm transfer files, this large grey box measures W430 x D380 x H287mm (internal). This pack contains 10 boxes.